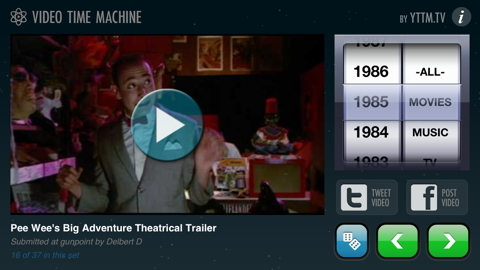 Pick a year and watch specific categories including TV, Music, Advertisements, Trailers, Video Games, Sports, and more! 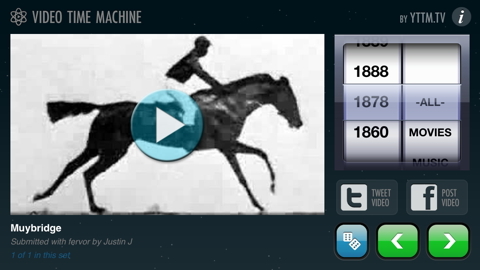 Discover awesome videos and share them on Facebook + Twitter! 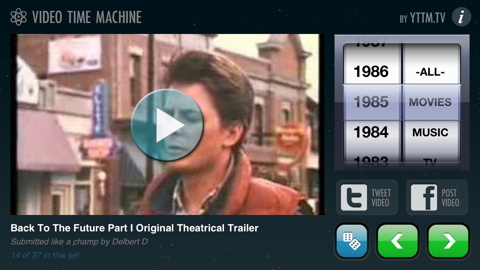 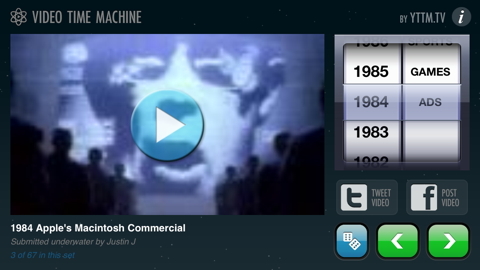 Step back into whatever era you fancy, the "Video Time Machine" way! 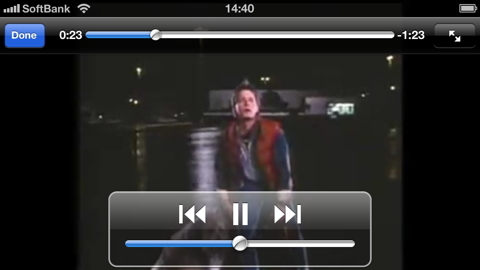 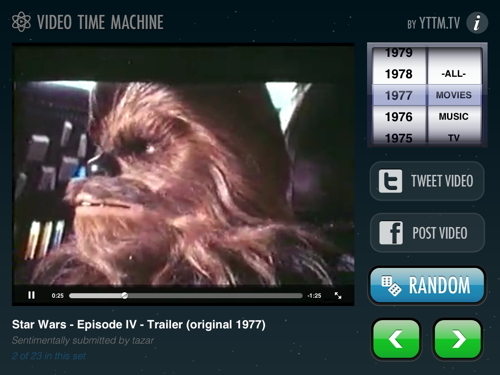 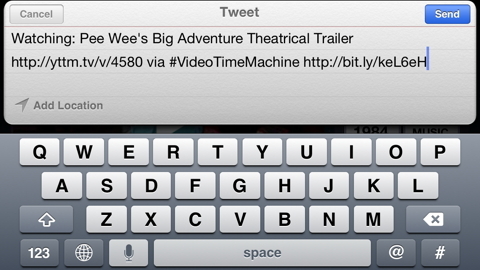 サポート : Video Time Machine iPhone App – Videos organized by YEAR and TYPE on your iPhone!